Be Your Own Boss in Asia: Work with Links International! be your own boss - work with us! When it comes to your career, do you look for achievable yet challenging goals, a perfect work-life balance, a good team environment and flexibility? Are you passionate about building your career in Asia? Do you enjoy tackling diverse projects? Are you a team player? If the answer to these questions is yes, come and work with us! Simply complete the above form and we'll be in touch with the next steps. If you possess these qualities, you might be the right fit to join our team. 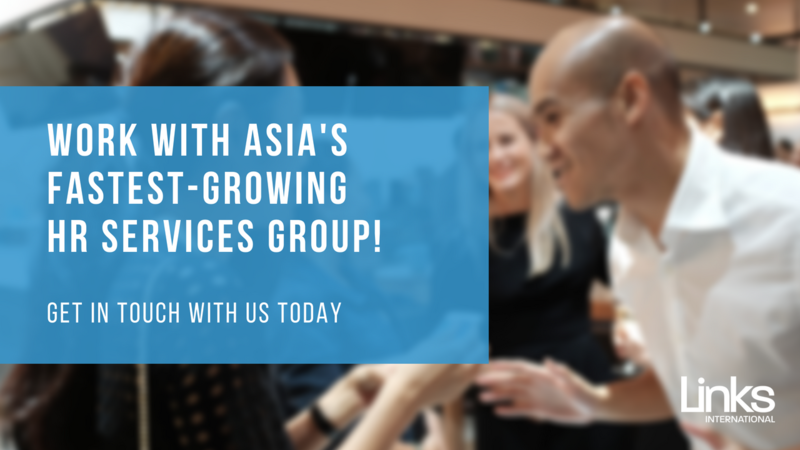 We have offices in Hong Kong, Singapore, Macau, Shanghai, Beijing, Zhuhai, Taiwan and Vietnam, and we are always on the lookout for passionate, hard-working individuals looking to build their career with Asia's fastest-growing HR services group. Please complete the above form to apply for one of our job openings.